From the #1 New York Times bestselling author of Small Great Things and the modern classics My Sister's Keeper, The Storyteller, and more, comes a "complex, compassionate, and smart" (The Washington Post) novel about a family torn apart by a murder accusation. When your son can't look you in the eye...does that mean he's guilty? Jacob Hunt is a teen with Asperger's syndrome. He's hopeless at reading social cues or expressing himself well to others, though he is brilliant in many ways. He has a special focus on one subject—forensic analysis. A police scanner in his room clues him in to crime scenes, and he's always showing up and telling the cops what to do. And he's usually right. But when Jacob's small hometown is rocked by a terrible murder, law enforcement comes to him. Jacob's behaviors are hallmark Asperger's, but they look a lot like guilt to the local police. Suddenly the Hunt family, who only want to fit in, are thrust directly in the spotlight. For Jacob's mother, it's a brutal reminder of the intolerance and misunderstanding that always threaten her family. For his brother, it's another indication why nothing is normal because of Jacob. 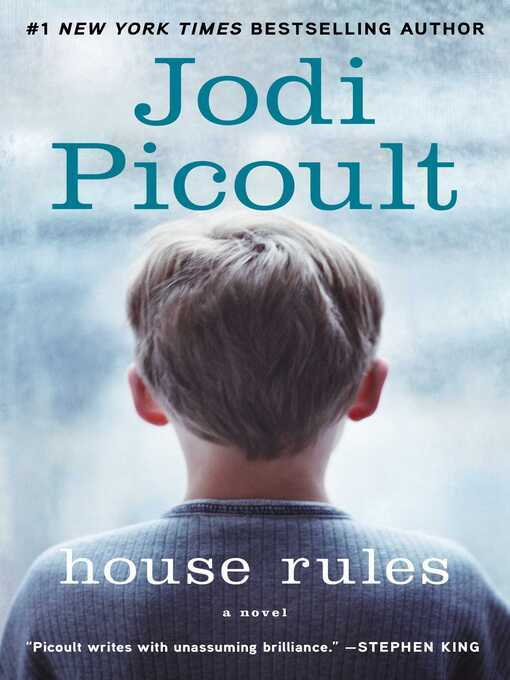 House Rules is "a provocative story in which [Picoult] explores the pain of trying to comprehend the people we love—and reminds us that the truth often travels in disguise" (People).